Motor Technology has designed a servo system to drive a rotating drum at high speed in the exhaust of a test rig designed to replicate a jet engine combustor. The rig, which was project managed and built by Howco Oilfield Services based on a design by the Frazer Nash Consultancy, replicates the combustor of a jet engine found on modern passenger aircraft. 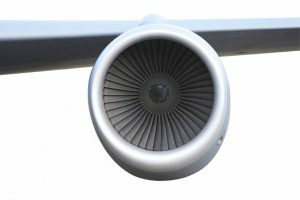 The rotating drum, positioned in the exhaust of the combustor, generates acoustic excitations, which can affect the flame inside the combustor in different ways. 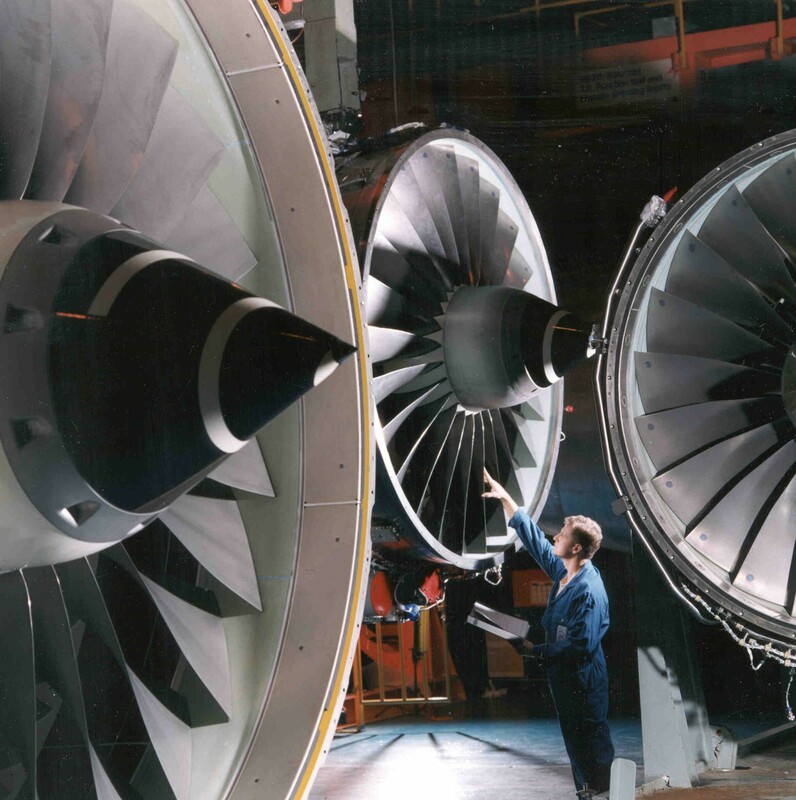 Research and development engineers, working for a major aero engine manufacturer, wanted to test the responsiveness of the flame to a range of acoustic excitations. The servo system had to provide precise control of the drum’s speed and tolerate the hot exhaust gases of the combustor. The rotating hexagonal drum changes the size of the exhaust area and creates a pressure wave that reacts with the flame inside the combustor. 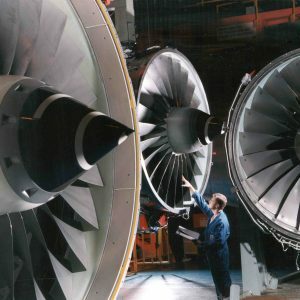 Probes then measure the amplitudes of pressure fluctuations and the results can be used to improve the technology of future engine design. The drum had to rotate at speeds of up to 8,000rpm and generate frequencies of up to 800Hz. To meet specifications Motor Technology customized a 16.9kW servo motor with a maximum speed of 13,400rpm that would drive the drum through a metal bellows coupling. 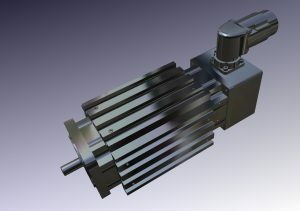 The customisation of the motor involved using a Kevlar wrap to bond the magnets to the rotor providing added protection against the high centrifugal forces exerted on the magnets at high speed. As the motor would be located only 300mm from the 700-800°C exhaust emissions, special care had to be taken when specifying the coupling, feedback device and cables. Furthermore, fitting cold plates on three sides of the motor was necessary so that it could be water cooled. Motor Technology also supplied bespoke, PC-based operator software to enable the operators to set-up and store a number of different test-cycle recipes, comprising frequency range, number of step points and dwell time, which meant that a 2-3 hour test run could be carried out without user intervention. During a test cycle the drum would increase its frequency over a period of time from zero to 800Hz. In addition, test engineers would alter the exhaust pressure by as much as 21 bar. Due to the very high costs involved in running the tests — the rental for the test facility based at the German Institute for Air and Space Travel alone ran to tens of thousands of euros per day — the drive system had to be designed for high reliability. The final system, which was designed and built in-house by Motor Technology’s engineering department, provided full manual control in case of a PC failure.